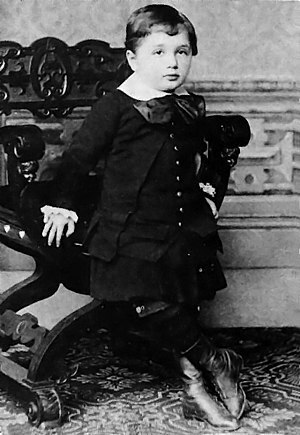 Albert Einstein was born on March 14, 1879 in Ulm, Württemberg, Germany. Look at his eyes in this photo where he is believed to be three years old. Notice the heavy lids and the triangular shape of the eyes, with the descension of the corners toward the ears. Would you recognize those famous eyes anywhere? Well, take a look at some of his later photos below. 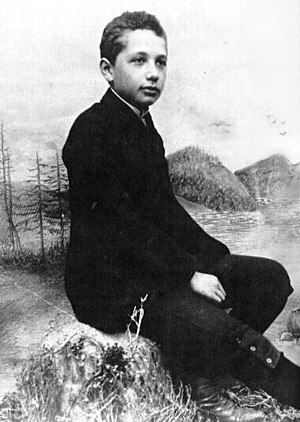 Albert’s parents were middle-class non-practicing Jews and raised their son and his younger sister largely without religious training, although for some period of his life, Albert became a devout Jew. Albert loved classical music as a child and played violin. He was a superior student in his Munich elementary school, but was always plagued by his very slow speech habit. Some believe he was carefully planning what he would say before he said it, an excellent habit for all of us to develop, wouldn’t you say? 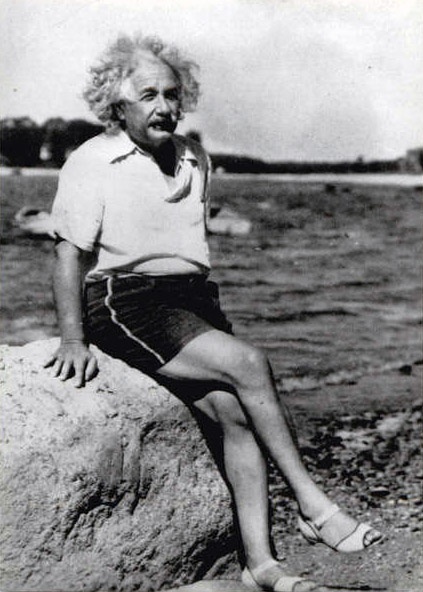 In addition to his strict Prussian education, Albert was tutored at home by a family friend who introduced him to a children’s science book and it was then that Albert began to wonder about light waves, a subject which would fascinate him for many years. You know Albert Einstein as the man who created the general theory of relativity. He explained it in simple terms: “When you are courting a nice girl, an hour seems like a second; when you sit on a red-hot cinder, a second seems like an hour. That’s relativity.” He had a knack for describing complicated ideas in easy-to-understand language. That talent was foundational in his life-long effort to understand and explain physical phenomena. Like any human beings, his life was not without foibles, mistakes, failures, and heartbreak. In that regard, he was no different from any of us. But he was unique in the sense that he was a genius in science and mathematics, and he possessed a giant gift of creativity and imagination. Therefore, it may be instructive for us to look at some of his interactions with his fellow human beings. When I first started to research his relationships, I did not like him much. But I changed my mind, over time. Perhaps you will have the same reaction. Let’s begin with his first wife, Mileva Maric. 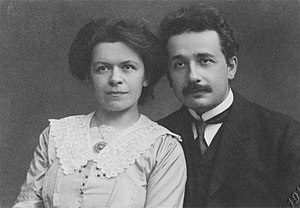 With a determination born out of a great love, Albert was fixated on marrying Mileva whom he met when they were both students of physics in Zurich. Mileva was older than Albert. She was from rural Serbia and an Eastern Orthodox Christian. 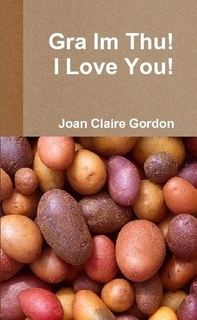 None of her qualities or circumstances were pleasing to Einstein’s parents. Despite their vigorous objections, he continued to see Mileva and in January, 1902 Mileva went home to her Serbian parents and gave birth to their daughter, Lieserl. However, it is not known if Lieserl died or if she was placed for adoption. Many years after Einstein’s death, a letter was discovered in which Einstein wrote about baby Lieserl’s bout with scarlet fever. In the book titled Einstein’s Daughter: The Search for Lieserl, author Michele Zackheim reports on her search for details about Lieserl’s fate. In order to marry and support Mileva, Albert needed a job, but he had trouble getting work. Finally he was recommended for a clerk position in the Swiss patent office. His father, on his death-bed, gave his blessing for Albert to marry Mileva and they exchanged vows in January, 1903. They had two sons, Hans Albert and Eduard, and they remained married until 1919, but all was not well. What were the problems? It is reported that Albert was away from home a great deal due to the increasing demands of his expanding career as a professor and theorist. He and Mileva also argued about their children and about money. 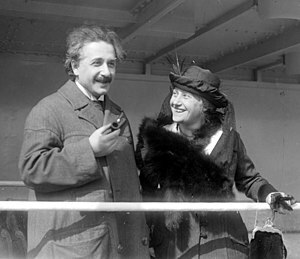 Believing that his marriage was over for all intent and purpose, Albert began an affair with his cousin, Elsa Lowenthal, around 1913. By that time, he had achieved a great deal of fame with his scientific papers and he had become the director of the Kaiser Wilhelm Institute for Physics at the University of Berlin where he served from 1913 – 1933. Ultimately, in 1919, Albert divorced Mileva and married Elsa. They had two daughters, Ilse and Margot. Elsa passed away in 1936. Albert never remarried. Although I may not condone some of Einstein’s behaviors with his family, I was not there in his shoes and I do not know what factors impacted his choices. I do not believe that he and Mileva abandoned baby Lieserl . The available evidence leads to the conclusion that the baby contracted scarlet fever and died. Albert loved Mileva deeply. But circumstances changed and perhaps Mileva changed. We do not know. What is clear is that Einstein lived life to its fullest. He appreciated being alive. When he suffered disappointments he picked himself up and regrouped, always thinking about possibilities. Without question, he was one of the greatest theorists and thinkers of the 20th Century. Read his famous quotes to learn more about his philosophy of life and how he dedicated his life for the good of others. He gave of his mind to all of humanity.